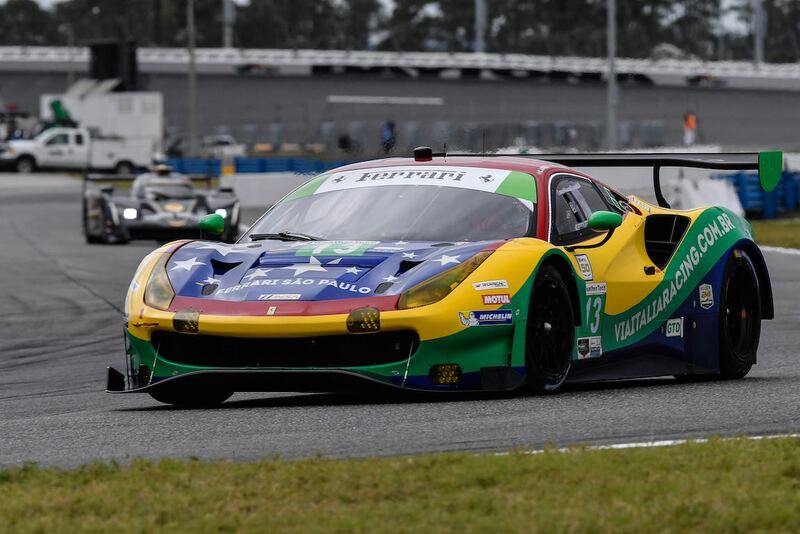 The Rolex 24 Hours of Daytona 2019 was held January 26-27 at the Daytona International Speedway in Daytona Beach, Florida. The 12-turn, 3.56-mile track is made up of portions of the NASCAR tri-oval and an infield road course. As the race began the teams and drivers set out to go the furthest in 24 grueling hours. 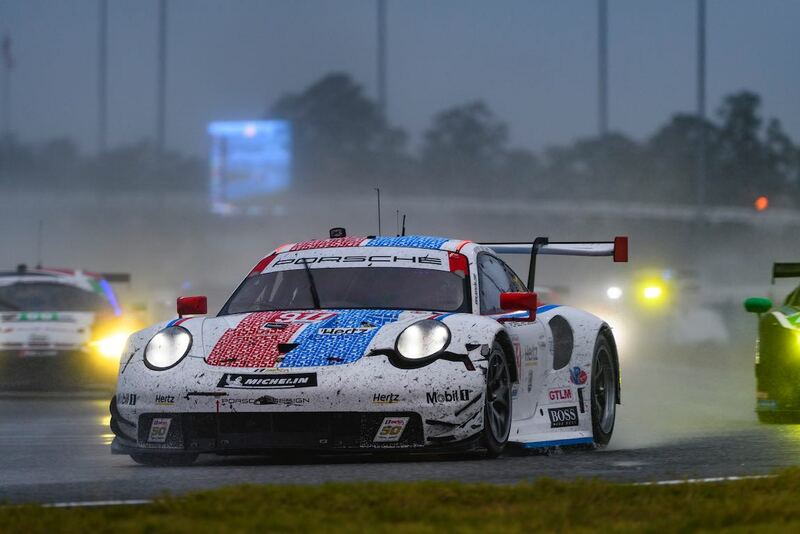 The 57th running of the Rolex 24 Hours of Daytona was called after 23 hours, 50 minutes due to rain after extreme weather caused on track flooding resulting in caution flags beginning at dawn Sunday. This included two red flags for the first time in event history. 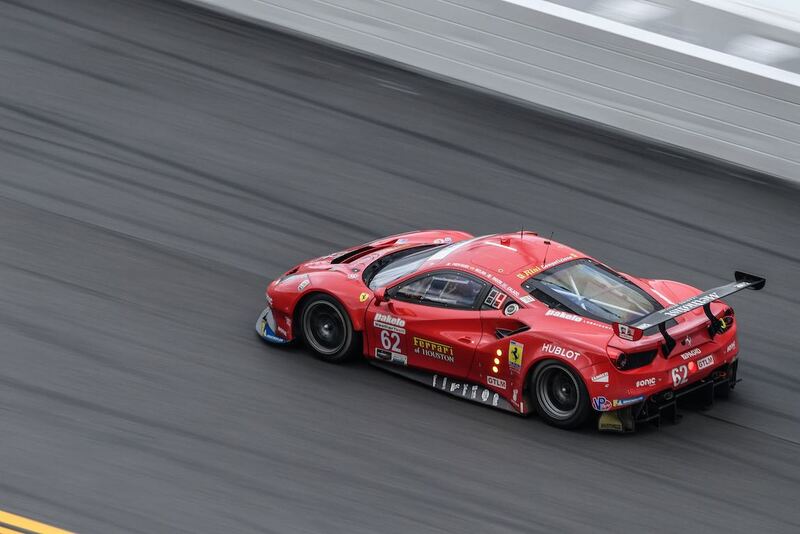 Fernando Alonso, the two-time FIA Formula 1 Drivers’ World Champion, captured his first overall win at the Rolex 24 Hours of Daytona 2019 in the No. 10 Konica Minolta Cadillac DPi-V.R along with teammates Jordan Taylor, Renger van Der Zande and Kamui Kobayashi. Alonso took over the lead just prior to the last caution when Felipe Nasr went wide in Turn 1 in the Whelen racing entry. Just minutes later the caution went out followed by the red flag that ended the event. The No. 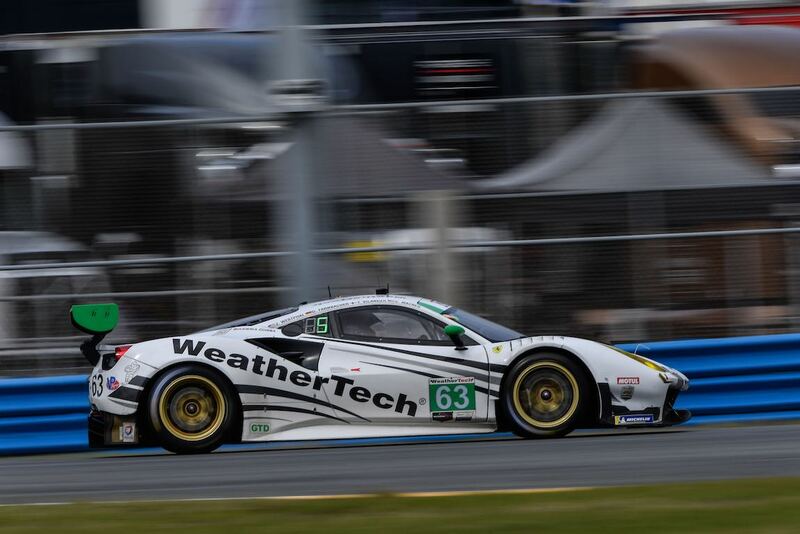 25 BMW Team RLL BMW M8 GTE took the GTLM win driven by Augusto Farfus, Connor De Phillippi, Philipp Eng and Colton Herta. 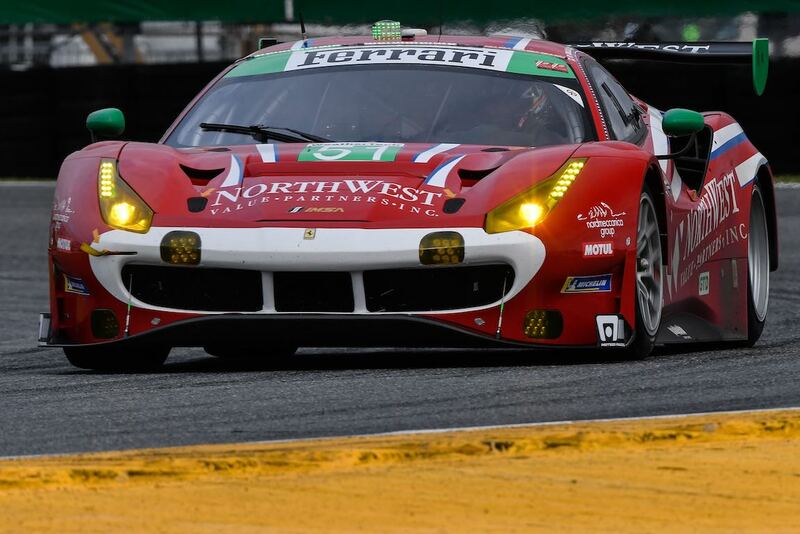 The GTD class victory was brought home by the No. 11 GRT Grasser Racing Team Lamborghini Huracan GT3 and the four man team of Christian Engelhart, Rolf Ineichen, Mirko Bortolotti and Rik Breukers winning their class for the second year in a row. Sebastian Saavedra captured the LMP2 class win in the No.18 DragonSpeed ORECA LMP2, co-driven by Roberto Gonzalez, Pedro Maldonado and Ryan Cullen. 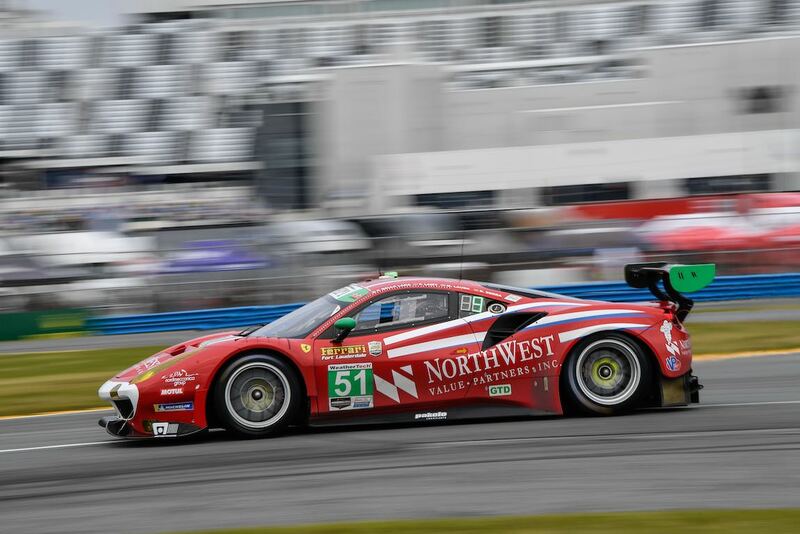 Mechanical and weather problems plagued some of the race’s most well-known teams and drivers. Tommy Milner’s No. 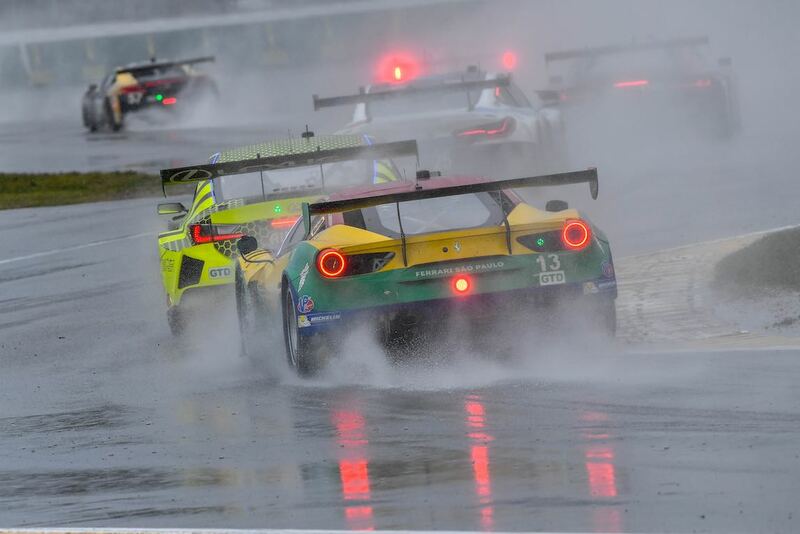 4 Corvette C7.R aquaplaned on standing water into a barrier in the early morning weather, while Indy Car legend Alex Zanardi’s No. 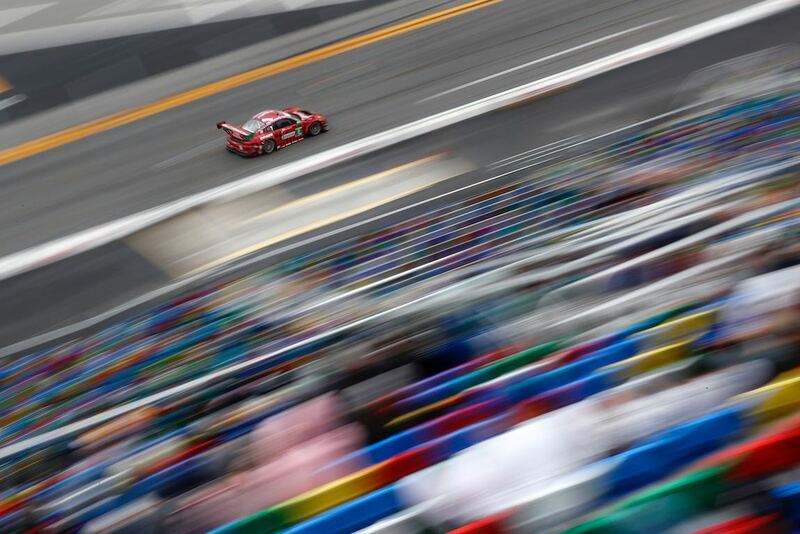 24 BMW suffered from a series of steering column issues that lost valuable time before his co-driver Jesse Krohn experienced a tire failure that effectively removed the BMW from contention. 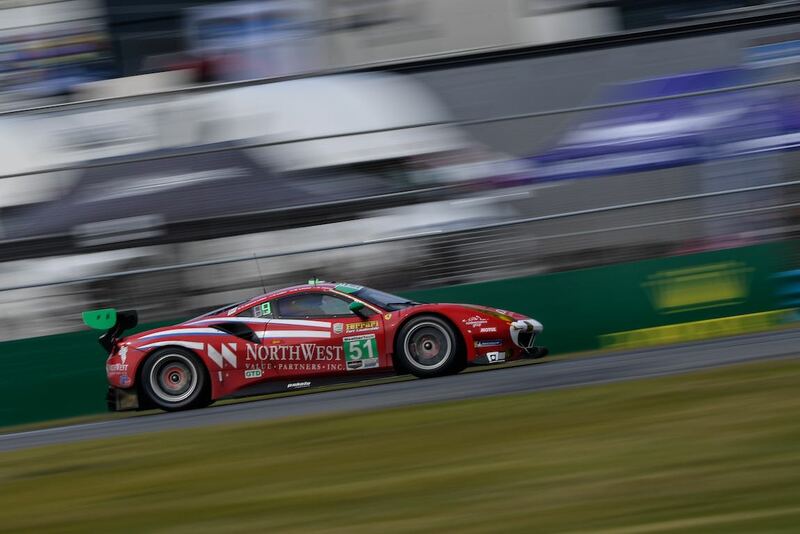 Oliver Jarvis officially set the IMSA lap record around Daytona International Speedway and qualified for the pole with a lap of 1:33.685s in the No. 77 Mazda Team Joest DPi, but the car suffered a mechanical failure and had to retire. “It is unfortunate that we finished under the red flag, but the conditions were so tough and the right call was made. 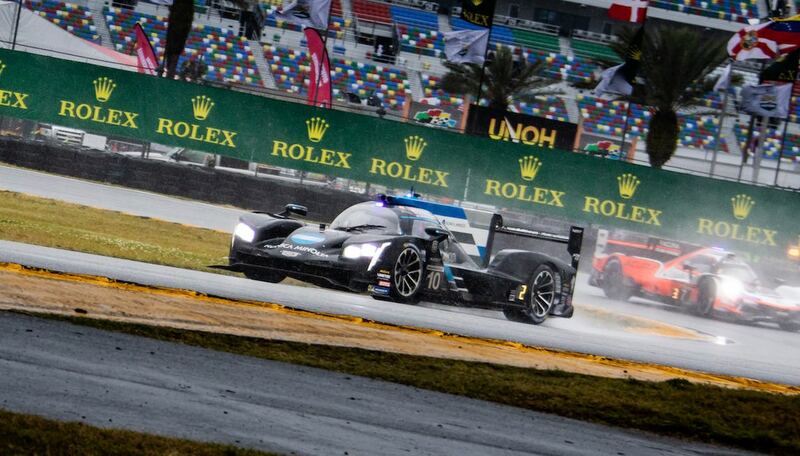 When you drive in these conditions it is intense and precision is key because as we’ve seen if you put a foot wrong, it will catch you out,” continued Pruett. 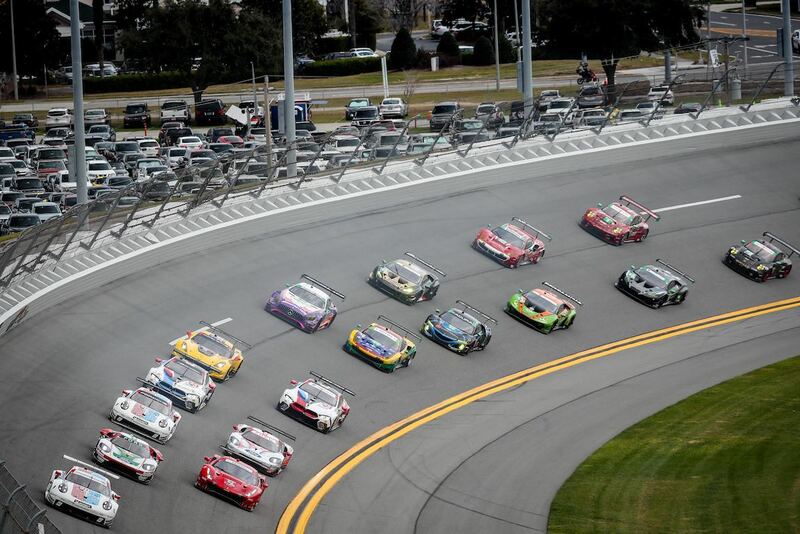 Similar to 2010, 2011, 2012, 2013, 2014, 2015, 2016, 2017 and 2018, Sports Car Digest also documented the racing action at the Rolex 24 Hours of Daytona 2019 with photographer Mark Coughlin offering the following selection from the road course at Daytona. 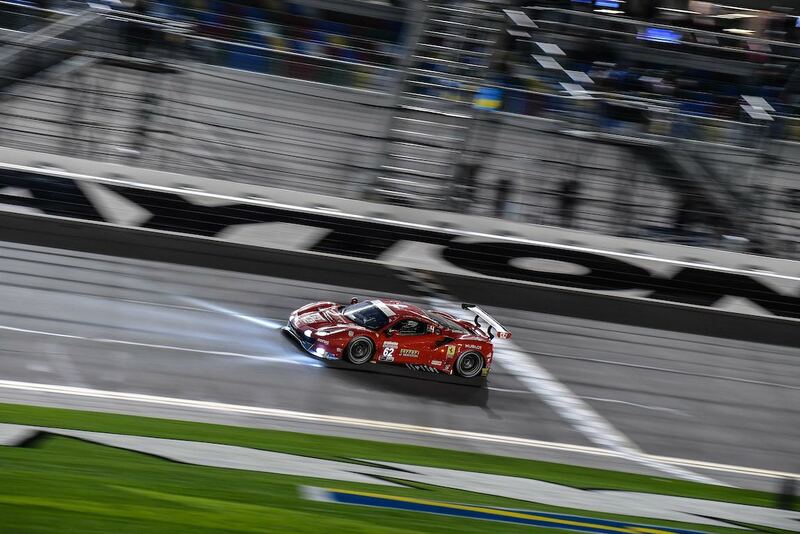 As a former “stringer” for AP, primarily shooting motor sports I have to say I was envious of the rainy , night shots of the 2019 24 hours of Daytona. These are some of the best I have ever seen. Hats off to the photograpgher(s). I watched a lot of the race over the internet. I already had huge respect for the drivers, but even more after seeing some of the live shots from their cockpit through the windshield during the rain. It gave me great anxiety as despite windshield wipers furiously going back and forth, the visibility even at somewhat reduced speed was extremely limited. In fact I watched as the #66 Ford GT got in a wreck during one of the downpours. It was quite a spectacle. Thanks very much for the great photos.